Girl Kuripot Girl Kuripot: @AirAsiaPH, Win Plane Tickets to Korea or Shanghai! @AirAsiaPH, Win Plane Tickets to Korea or Shanghai! This is a chance to win plane tickets to Korea or Shanghai! 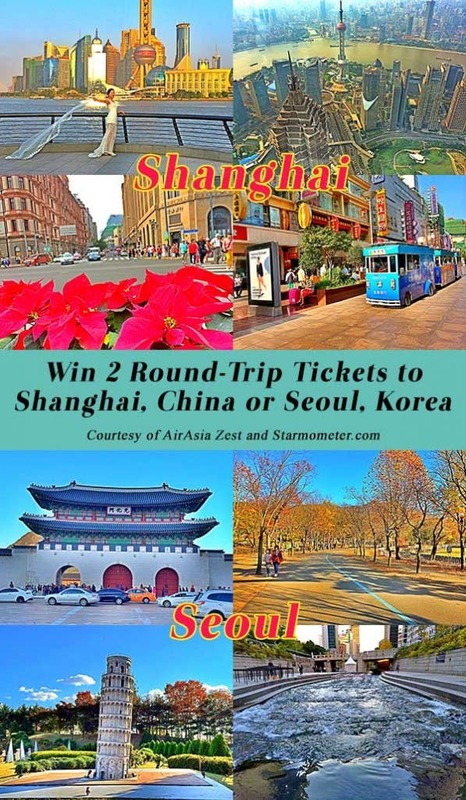 Click here for more info on the Starmometer AirAsia Philippines Korea Shanghai Giveaway.